Tim Probst double standard is once again on display for the community to see. 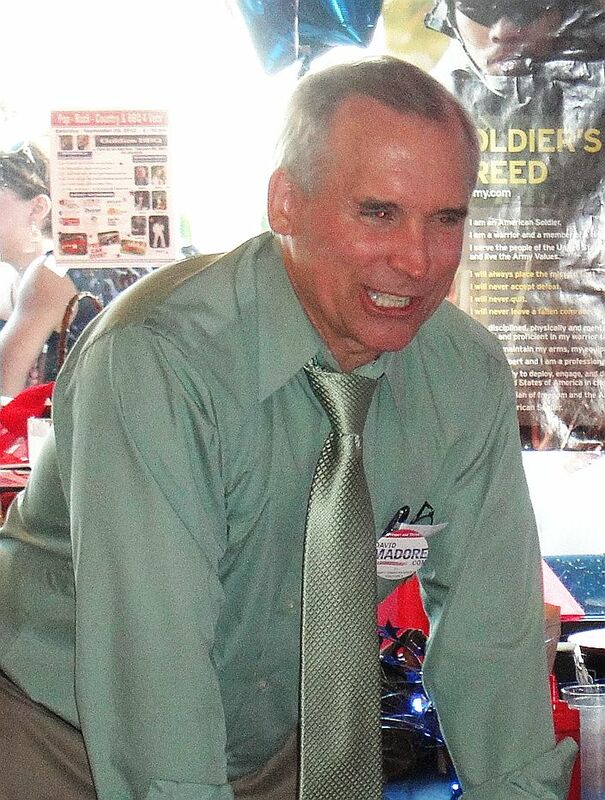 In 2008 he railed about slinging mud while posting mudslinging posts all over his campaign page. 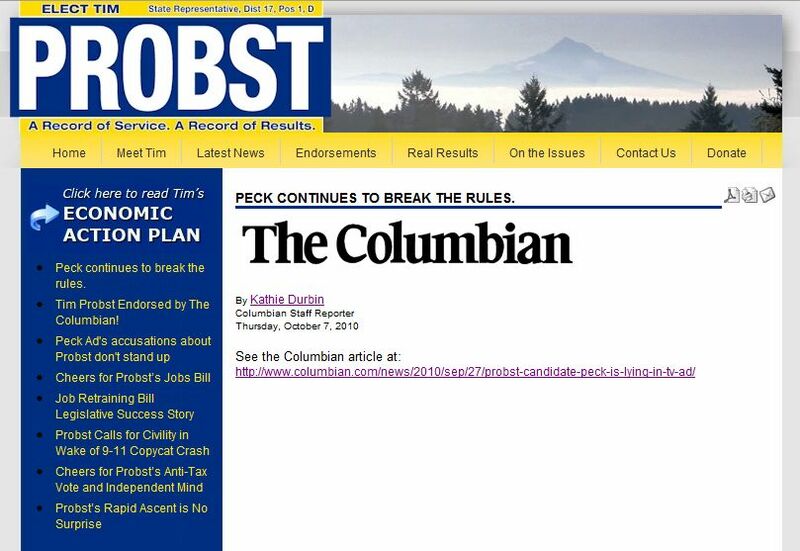 As can be seen below, he eagerly shows a headline of “Peck Continues to Break the Rules,” an article from the Columbian pointing out his opponent, Brian Peck having made some mistakes in his campaign. The only problem is, up until last evening, Probst himself was “breaking the rules” by posting the article completely and without a hyperlink back to it, a clear violation of copyright rules that bloggers and others are held to. Clark County Conservative first pointed out this disparity in a previous post Peck, Harris Really Frighten the Columbian in the 17th Legislative District and brought it to the attention of the Columbian editors and Political Writer, Kathie Durbin. I find it unfathomable that the Columbian had never visited Probst’s website or never noticed that he was infringing on their copyright prior to my contacting them about it yesterday. But, I will grant Probst credit for correcting his own “mistake” of copyright violation. Likewise, Brian Peck, who clearly bested Probst in the primary election, also corrected mistakes he made, being a novice at politics. The Columbian though, found it proper to blast Peck in the pages of their newspaper over his making a mistake, while claiming “Probst is mistake-free” in their endorsement of him. Will they withdraw their “mistake free” claim? Will they publish an article lambasting Probst for making such a huge error in judgment? Or, since he’s a favored Democrat, will they just sweep such a “mistake” under the rug and adopt an “all is forgiven” attitude? Aren’t voters entitled to know of such “mistakes” by Probst as well as by Peck? I will watch and see if the Columbian publishes about Probst’s “mistake” as well as watch and see if Probst comes into copyright compliance on the Reflector and Vancouver Business Journal articles he posts of theirs in violation of copyright law. Tim, you really ought to clean up your own act before pointing towards others. As has often been said, when you point a finger at someone else you have three pointing back at you.